JNCIP (Juniper Networks Certified Internet Professional) is the third Certification of Juniper on Routing and Switching. With JNCIP trainning, you learn Routing and Switching Deeply on Enterprise Networks, on Service Provider Networks etc. Beside, you gain Advanced Hands On Experience on Juniper Routers and Juniper Switches. 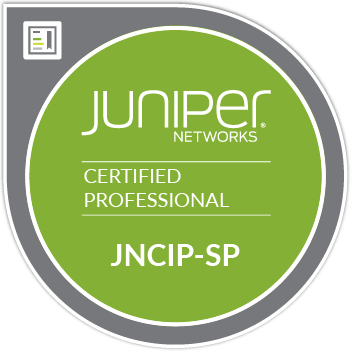 On our JNCIP Course, you can find both JNCIS-ENT and JNCIS-SP Lessons! To Pass JNCIP-ENT or JNCIP-SP Exams at the First Attempt and Not To Lose Time , You Can Take Our JNCIP Course! What Will You Learn in JNCIP Course ? Hey Buddy!, I found this information for you: "JNCIP". Here is the website link: https://ipcisco.com/course/jncip/. Thank you.